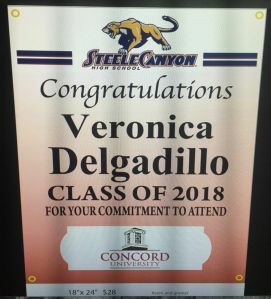 GRADUATION BANNERS: Celebrate your senior by flying their banner at graduation. After purchase please email mbullock@schscougars.org with your student's name and the name of the college they'll attend in the fall of 2019. Deadline for purchase and email is 5/24/19. Want to see a sample? Send your student to room F205 to check it out.